This Outfit also comes with a Custom Gig bag with a Snake pit logo and Slash Signature Dunlop To text picks. Epiphone also offers the award winning E-media online lessons and a guitar strap and cord. 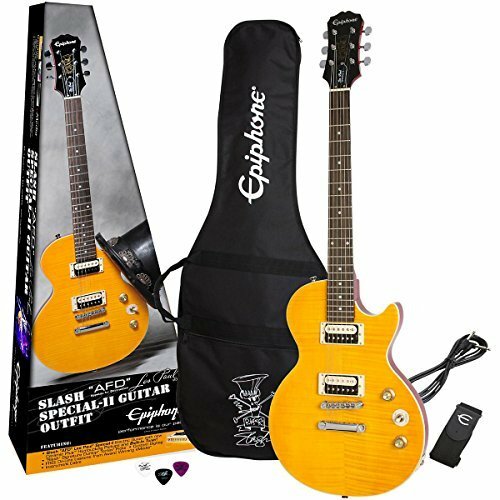 The Slash "AFD" Les Paul Special-II Outfit has everything the Performance Pack has except for the Amplifier. Endorsed and promoted by Slash himself.